Heidi from Fabric Mutt! If you're just tuning in, don't worry! You can find our first pattern refresh featuring one of our favorite books, Farm Girl Vintage by Lori Holt by clicking this link! 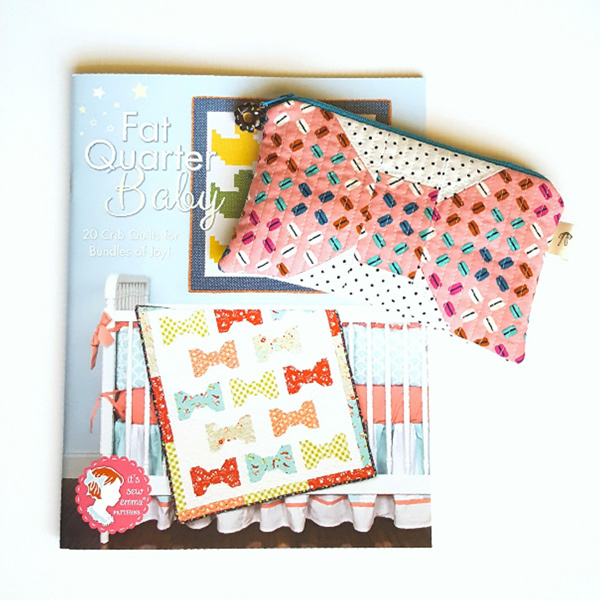 Today, Heidi has dreamed up another fun pattern makeover from It's Sew Emma's Fat Quarter Baby Book! We know that so many of you already have and love this one, and we're so excited for another fun project to come from this book's quilty pages!! At least several times a week, I love to read to my girls before they go to bed. We've made our way through the Chronicles of Narnia, the Little House on the Prairie books, The Indian in the Cupboard, The Great Brain, and are currently working on the All-of-a-Kind Family series. While I sit on the floor in their room, each of my three daughters gets a turn doing Mommy's hair. They were pretty rough on my poor head when they were little, but I've learned that brushing my hair before we get started and letting them use only soft scrunchies and flexible metal barrettes makes for a kinder, gentler experience. 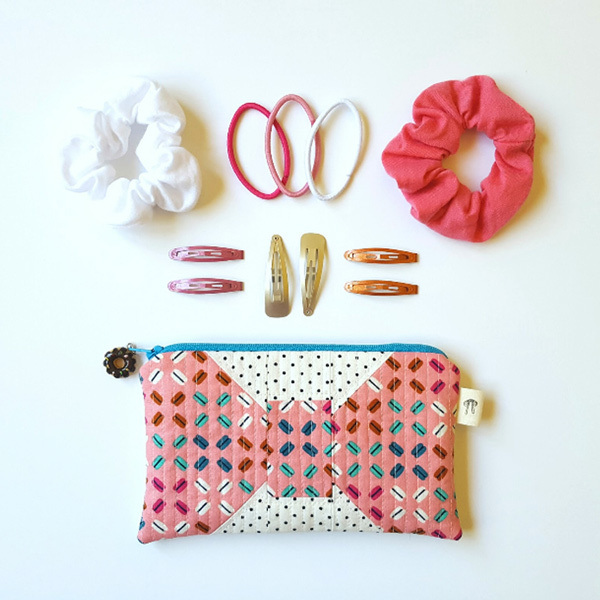 Usually I run around collecting all the hair items before we get started, but I soon realized that it would be smarter to just keep a pouch full of accessories ready to go next to our current book. 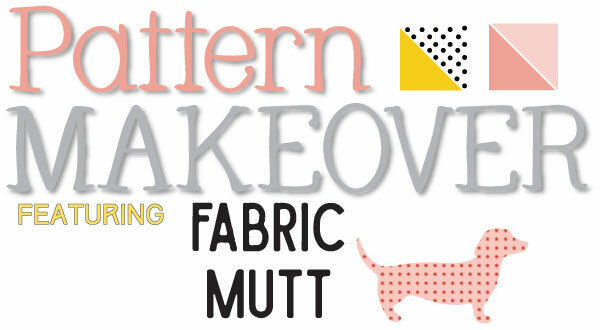 For this month's Pattern Makeover, I was planning to adapt a project from Fat Quarter Baby from It’s Sew Emma Patterns. This book is full of darling novelty blocks like ducks and guitars and butterflies. To fit the theme of a hair accessories pouch, I thought it would be fun to use the bow block from the Kimberly Quilt pattern. I made the block exactly as written, pairing some Swiss Dots by Riley Blake Designs with a pink macaroon print from my friend Patty Sloniger's adorable new collection Bake Shop. 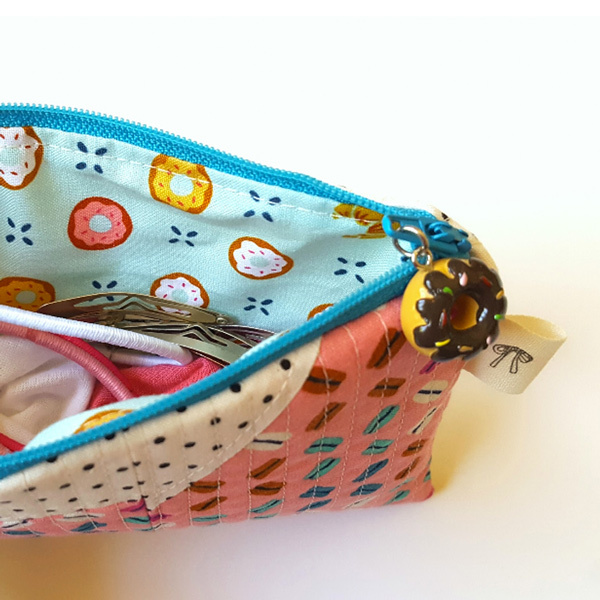 I used an aqua zipper to match the pale aqua lining print -- also from Bake Shop -- which features the cutest little donuts and croissants. I quilted the pouch with straight lines about a quarter inch apart. This sort of dense quilting gives such a wonderful texture to projects. It's time consuming but so worth it! 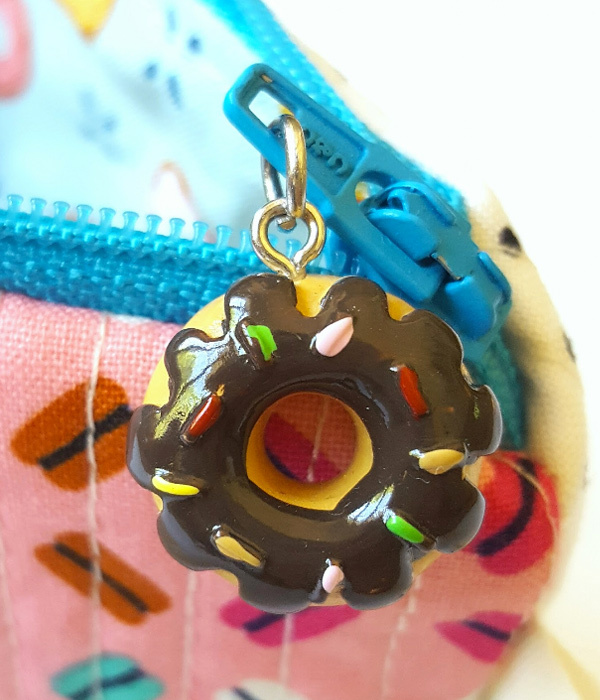 As I was sewing, I suddenly remembered that I've been hoarding a donut zipper charm for the past few years, and it matched perfectly. A twill tape loop on the side featuring a bow was the final touch. The finished size is 4 1/2 x 7 1/2” -- more than enough room for all the accessories my hair can handle in one sitting. My girls squealed aloud when they saw the finished project, and everyone wanted a closer look at that donut charm, of course. I can tell that this little pouch is going to get a lot of love in the months ahead. 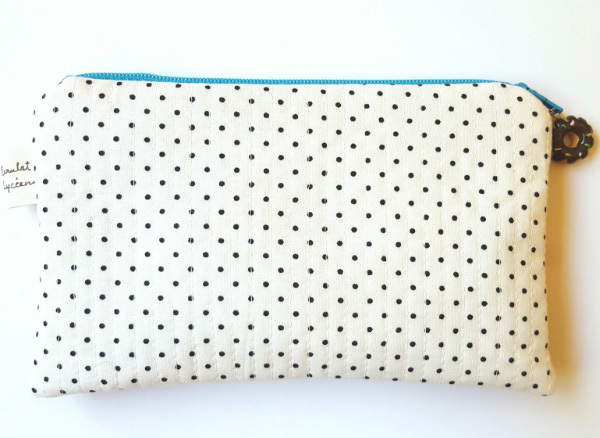 How fun is that pouch, and not to mention, sweet in more ways than one! Leave a review on our website of your favorite book and be entered to win a selection of three colored project zippers!